What is Whois Privacy / ID protection? 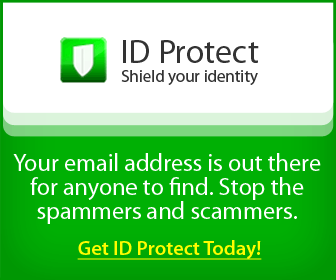 ID Protection is a service that hides your private information from being displayed publicly in a global database that is frequently used by spammers and data miners to bombard unprotected people with unsolicited advertisements and scams. Why is it necessary to add ID Protect to every domain I register? Every domain registration is required to have accurate contact information (WHOIS data) associated with it. Data miners crawl the public WHOIS database for this information and sell it to marketing firms and advertising agencies, which can result in both spam and junk mail to your home. 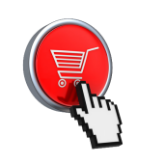 ID Protect hides your accurate contact information and stores it in a secure location, protecting your personal information without risking the suspension of the domain's registration. What are the benefits of ID Protect? Other WHOIS masking products only falsify your WHOIS records which can jeopardize your domain registration. ID Protect secures your private information by storing it in a trusted 3rd party data vault, and is completely compliant with ICANN (ICANN is the governing body of Internet rules and regulations). ID Protect forwards legitimate emails to your real email address, but keeps spammers and data miners away. Without ID Protect, anyone can find your personal contact information including your home address. ID Protect hides this information while protecting your personal address from getting into the wrong hands. Our Whois Privacy / ID Protection service can be both ordered at the time of your domain registration or retrospectively added to an existing domain name if required.